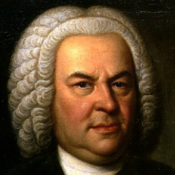 In the March recital, Andrew Fletcher will play works by Bach, Parry, Mendelssohn and others. 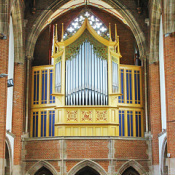 Works by Howells, Karg-Elert and Whitlock feature in this month's organ recital by Andrew Fletcher. 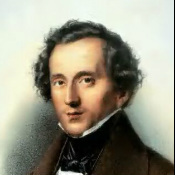 For the first recital of the new year, Andrew Fletcher will play works by Mendelssohn, Harwood, Langlais and others. Andrew Fletcher closes 2014 with a recital containing works by Bach, Karg-Elert and Bairstow. The 'Hymns and Psalms' monthly recital series continues with works by Dupré, Stanford and Whitlock. 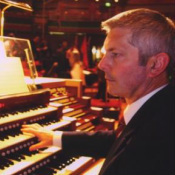 Organist Andrew Fletcher's 2014-15 recital series begins with works by Bach, Mendelssohn and Parry. 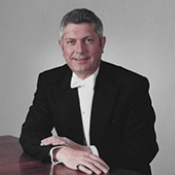 In the March recital, Andrew Fletcher will play works by Bach, Hindemith and Whitlock. The 'Fletcher's Favourites' monthly recital series continues with works by Guilmant, Mathias and Reger. 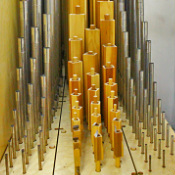 For the first recital of the new year, Andrew Fletcher will play works by Harris, Johnson, Vierne and others. Andrew Fletcher closes 2013 with a recital containing works by Gibbs, Ireland and Whitlock.